Approximately 45 minutes west of Calgary and 20 minutes east of Canmore lies one of my favorite Alberta bouldering areas – Big Choss. A large granite boulder field nestled at the base of Mt. Yamnuska, in the Bow Valley. As you may guess from its name, Big Choss is known for its loose, rotten rock. But fear not! There is plenty of prime rock to sink your teeth (er, hands) into! 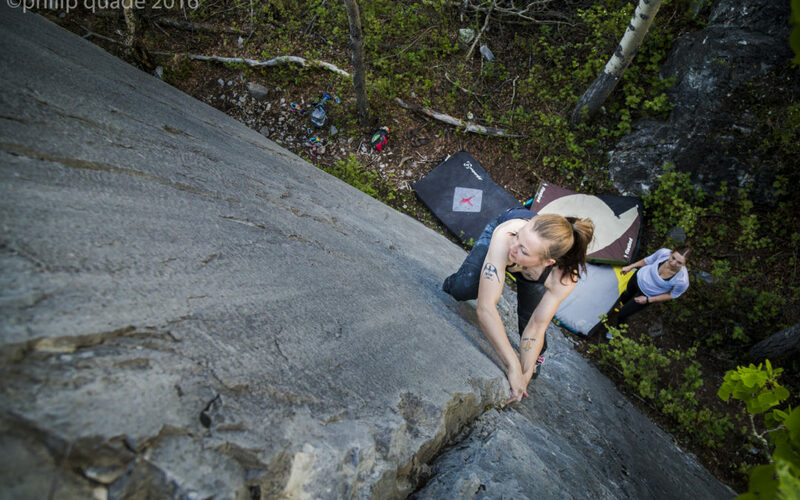 There is some pretty polished rock in the more popular areas, and some highball lines may seem intimidating at first glance, but this is an excellent area to start honing your skills and building some super tough skin.